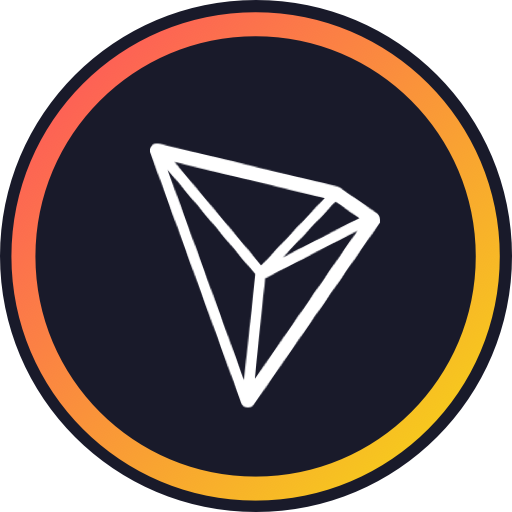 To share your TronWallet address with your friends do the following: On your Accounts Screen (the page you land after launching the app), right below your account cards, there will be a row with navigation buttons. Tap on the Receive Button to be taken to the Receive screen. You will find two tabs. One to Request a payment and the other to Share your address. 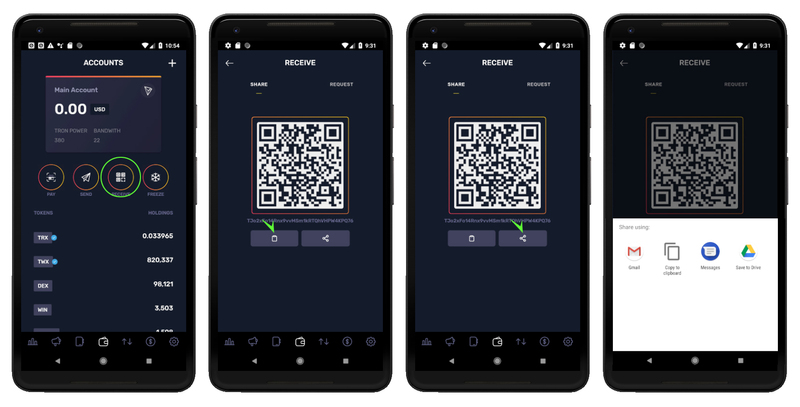 Tap on the Share tab and you will find a QRCode that can be scanned if you would like to share it in person, a Copy to Clipboard button and a Share button. The first, allows you to copy your address to the device's clipboard, this means you can paste it on the app of your choice. If you prefer, you can directly share it to another app using the share functionality. Tap on the icon that looks like 3 points connected and it will bring up a modal where you can select the app you would like to share your address to (e.g: WhatsApp, Telegram, Gmail, etc. ).